These companies are going to the Federal government whining that people are talking bad about them so they want our taxpayer money spent on advertising campaigns that tell us how safe they are and how good they are for the environment when we know that IS A LIE! 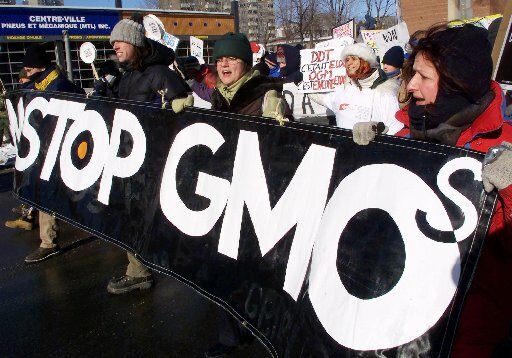 People are saying NO TO GMOs because they can kill you! The pesticide used on them, Roundup Glyphosate is now on the California Prop 65 list as CANCER CAUSING! Why Risk It? 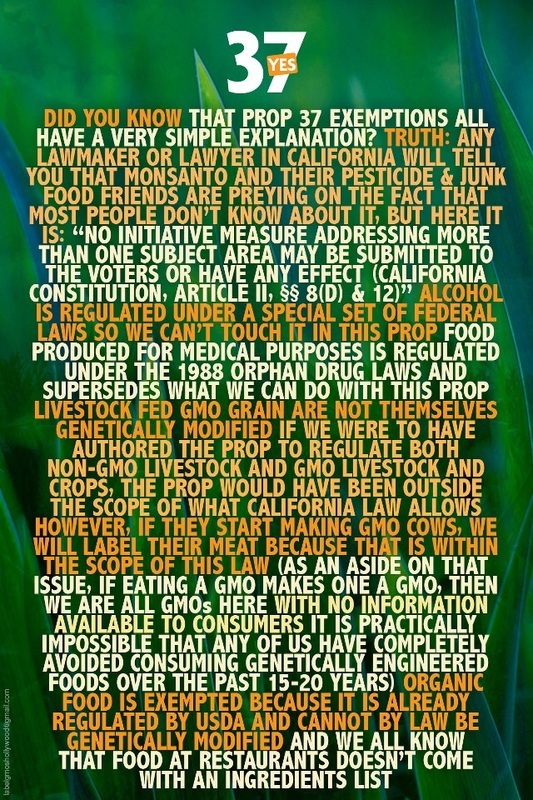 Why Risk GMOs? Why would we risk the health of our families to pad corporate profits for companies that make it a business of creating disease and then being there with a drug to treat it. They make money on both ends and Americans lose as they blindly eat GMOs, pesticides, and antibiotics in food. Hired to "sell" Californians on the idea that they don't want to know what's in their food. Lots of experience working for corporations that compromise the health of Americans for a profit. Americans have spoken and they say, "Label GMOs in our food." 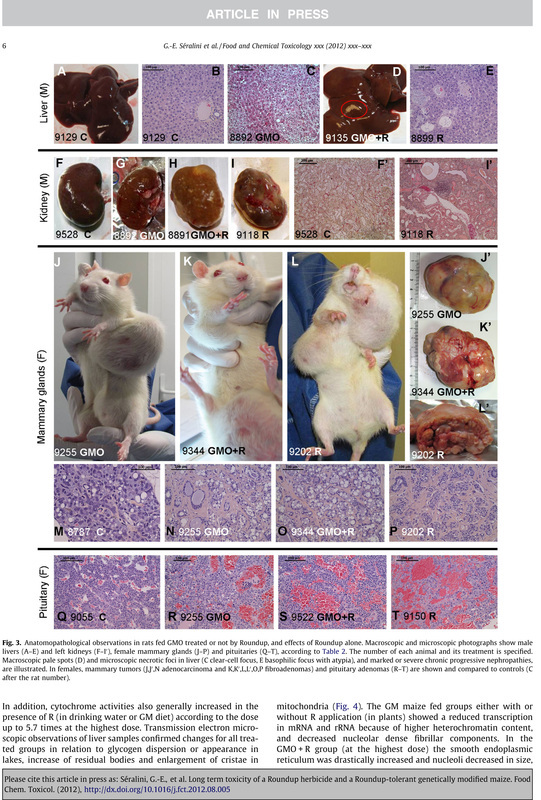 GMOs contain "organisms" that can live in foods we eat and then attack our digestive cells. Their DNA genetic modification programs them to kill insects with a pesticide secreted in the plant. Insects that eat it die because digestive cells explode. The mechanism continues after we eat the food. The war we have to realize we're fighting is the right to know what corporations are putting in the food we eat. 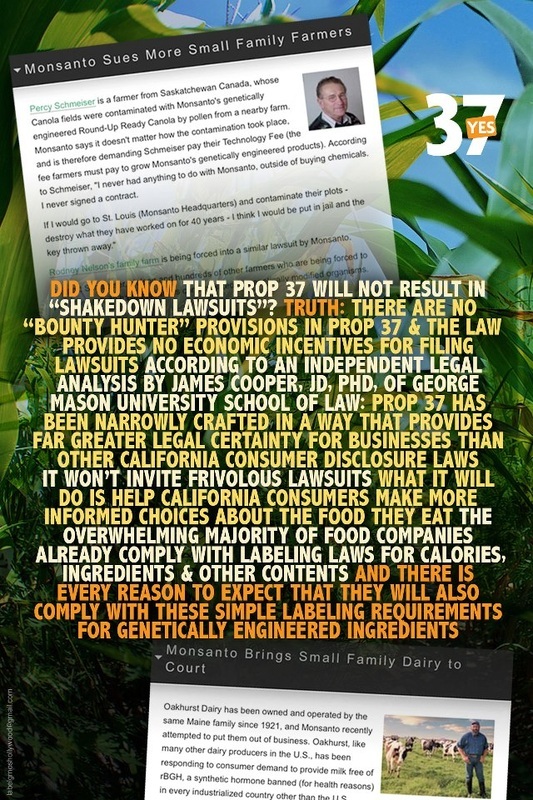 Do we want do give these companies full power to put whatever they want into our food? They have manipulated DNA to create organisms that secrete pesticides and won't die no matter how many Round Up Ready pesticide applications you give it, but what does that mean for the concentration of life giving antioxidants and trace minerals? They are lower in GMO plants versus organically grown plants. What new ways to control us through our food will come next? These GMO companies have already proven they have no problem secretly slipping new DNA into our food without our knowledge or approval. Beware. GMOs and the 80,000 chemical additives have been approved for use in the majority of processed foods to replace more expensive real food sources, and extend shelf life. Food manipulation is mostly for the benefit of the manufacturer to either make the product last longer, or to manipulate the taste to give it more addictive properties. The idea is to make us crave the more intense GMO version. Aspartame is an example. Something that is hundreds of times sweeter than sugar is addictive because after we use the artificial version, regular sugar will not be sweet enough to satisfy. MSG is another example. Most GMOs are also the main ingredients in junk foods. Trans fat and GMO laden junk food items that are not sold before the expiration date are shipped by train to farms for livestock feed that you will later eat in meat, poultry, and dairy products. Thought you were avoiding junk food, not if you are eating conventional meat. GMOs are designer products that include sweeteners, flavors, preservatives, colors, texturizers and ingredients that keep us wanting more. Think of addiction. Low nutrient junk food leads to diabetes, then you can start to use GMO drug products such as insulin. They know at that point they got you and now you can't live without them. 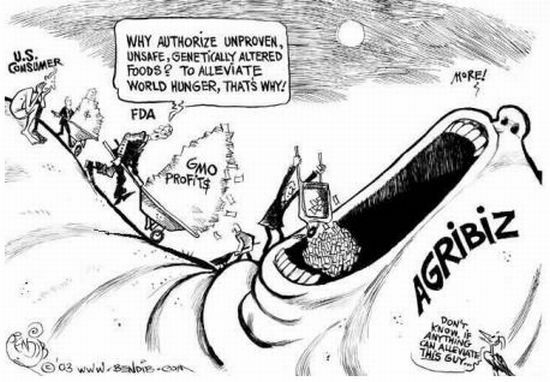 After successfully placing Monsanto employees into key government positions and lobbying government officials, Monsanto was able to get "Genetically Modified Organisms" (GMOs) approved as being the same as the real thing. In reality genetically modifying a plant is making something happen that would never happen in nature. It is not only creating a situation where there has been a huge leap forward, but it is one that nature would never choose to do, and our bodies are defenseless against the pesticide it makes. The government DOESN'T TEST PRODUCTS. Don't let corporations add GMOs to food without telling us. Could never recommend this product, and you are expected as a dietitian. Knew how bad it was years ago. 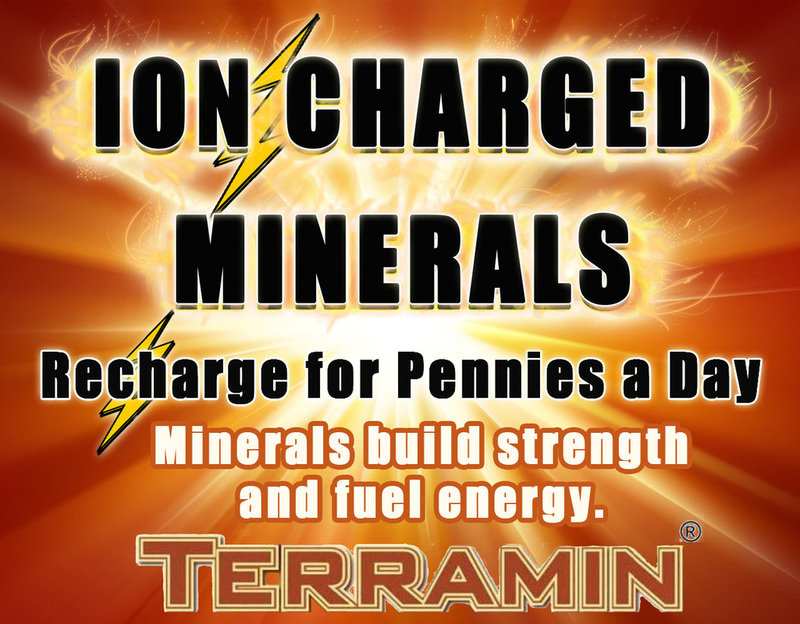 Many better options that provide real nourishment for healing and preserving muscle. 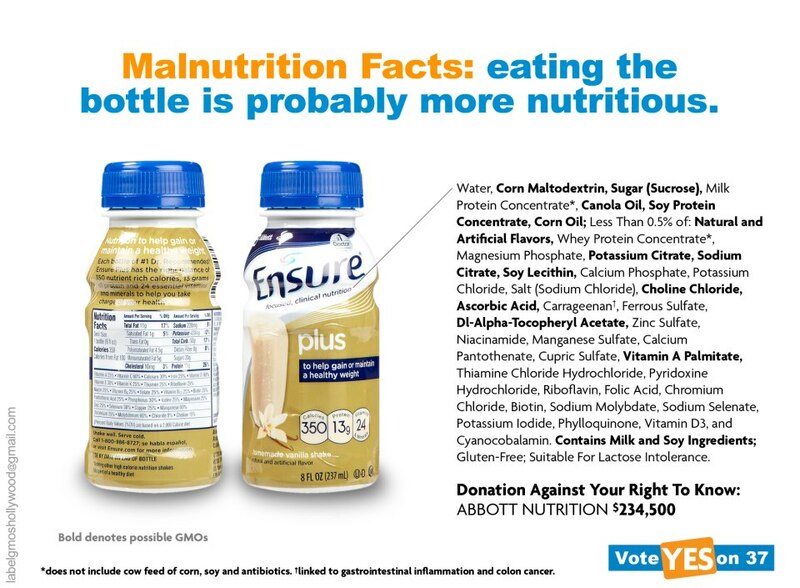 Find out what food makers have paid big money to keep you from knowing what's in their products (GMOs). If it's harmless, why don't they just label it like they do in over 60 other countries in the world. 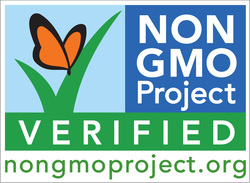 Who you gonna trust to be Non GMO? Kids and adult cereals containing GMO ingredients. Find out what Vandana Shiva has to say about GMOs. International leader. Monsanto wants us to think they are too big to fight, but we choose with our votes and our dollars and those are mightier than any corporation. We choose. Dog food and treats are scary for animal owners right now. Many pets died after eating chicken jerky from several companies and bad gluten products in food. 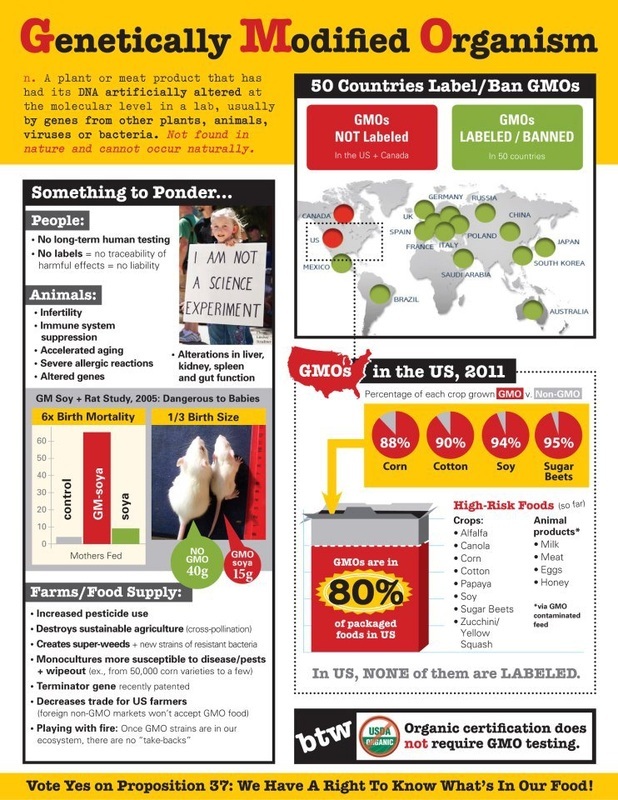 GMOs are widely found in animal food because it's cheap and soy and corn can be main ingredients or included in different forms. Beware of animal products from China. Since when does poison and food go together? Which of these groups care more about your health and whether you live or die? People all over the world are fighting to keep United States Monsanto Corporation GMOs (genetically modified organisms) out of their food. We should be fighting too. Food companies want to sell products bottom line. Don't let them think they are the boss over you and will raise prices at will. You are the boss of your dollars and control their sales bottom line.